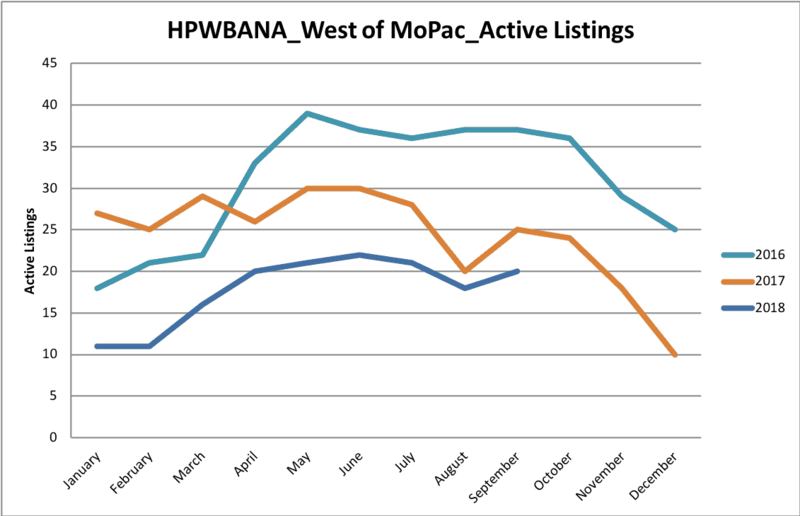 The story so far in 2018 continues to be the decline in active listings. The neighborhood is following the same trends as the last couple of years, but at much lower levels of inventory. 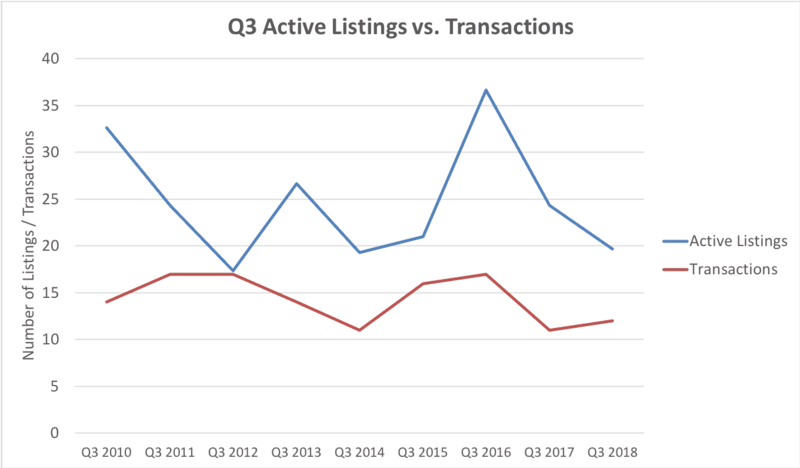 Whereas in 2016 and 2017, monthly active listings through September averaged much higher at 31 and 27 respectively, in 2018 that number has dropped to 17. If you’d like to know more about the Highland Park West / Balcones Area neighborhood real estate market, feel free to e-mail or call me and I’d be happy to visit with you about it.